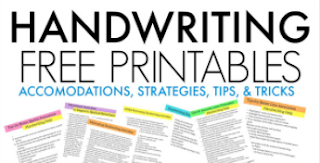 Handwriting can be a difficult task for kids who struggle with the components of visual perceptual skills, fine motor skills, or the many other aspects of handwriting. One way that I love to address handwriting skills is in a fun way with creative hands on handwriting activities. 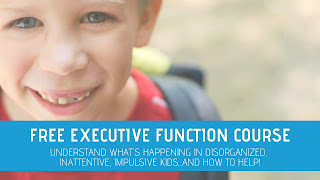 When an idea is presented in a fun and playful way, they may be more apt to address the skills needed for a difficult task such as handwriting practice. So, how do you find creative ways to work on handwriting? I've shared many ideas here on the blog before. Take a look at my series of easy tips for handwriting. 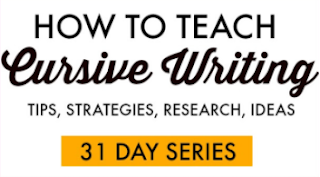 Today, I've got another go-to source for handwriting activities. 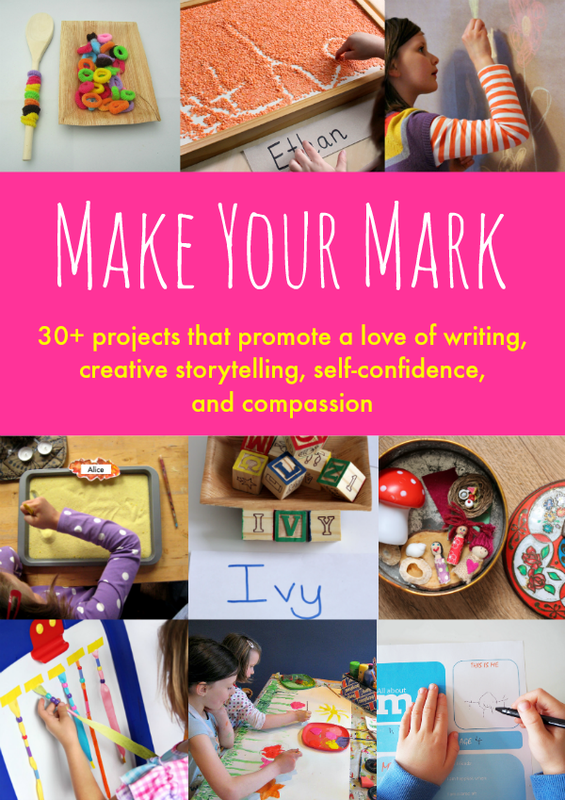 Make Your Mark is a collaborative book project that I've co-authored. 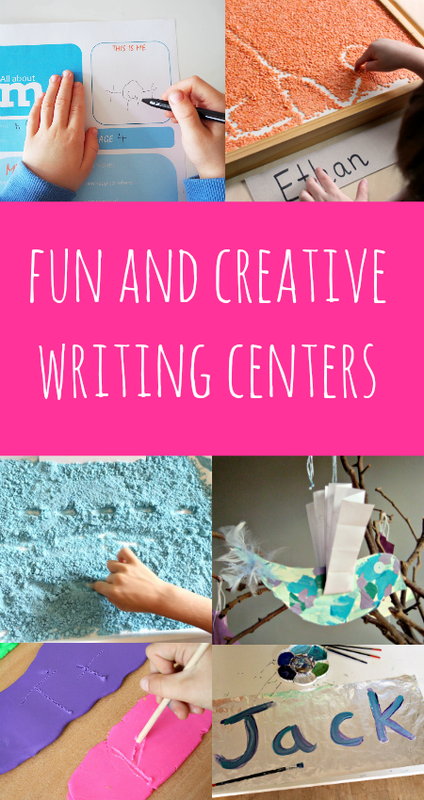 It's made up of 30+ projects for kids that promote a love of writing, creative storytelling, self-confidence, and compassion. 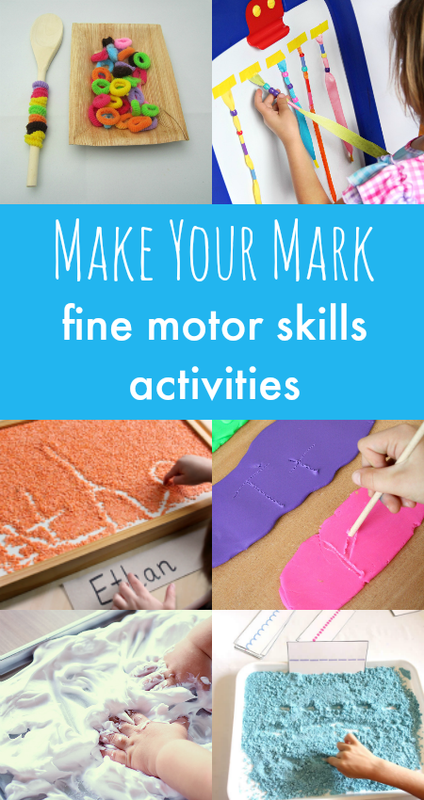 Make Your Mark is a go-to guide for helping kids work on handwriting and written work in a fun way! 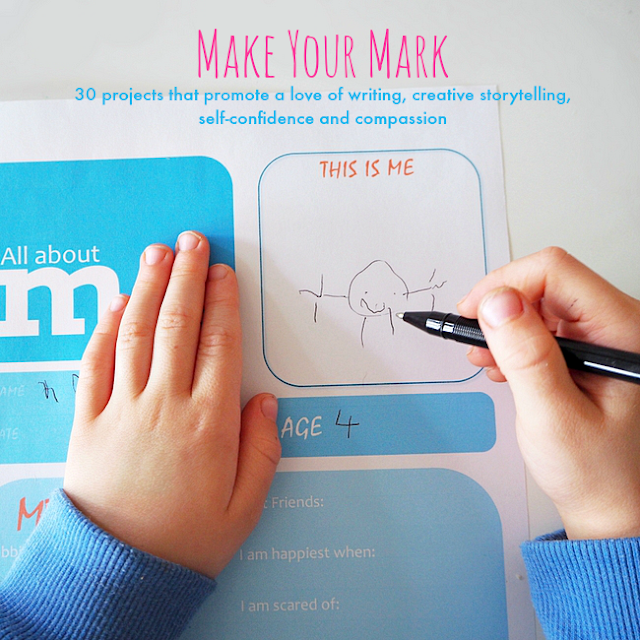 Make Your Mark - a book about creative handwriting ideas, confidence, compassion and caring. Through play, art, language, and writing this book will help your child discover themself, and make their mark on the world. Make Your Mark will help you take the simple act of sharing stories and stretch it to help your child their confidence, compassion and caring. Creative hands-on handwriting activities and playful ways work on the skills needed for written work make this book a must-have for teachers, Occupational Therapists, and anyone working with kids on written work. And finally we help your child see that everyone can make their mark on their community and the environment. We show you how to extend the idea of our self out into the world, and consider how we are part of a community. With accessible and achievable projects we’ll inspire your child to make their mark through environmental citizenship and acts of kindness. 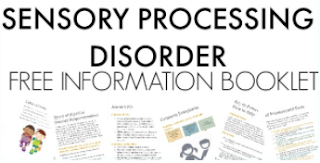 Also included: six sets of printables for you to download, including pattern writing cards, a 'my favorite things' photo book, 'all about me' interview sheets, pretend play post office accessories, and comic book and gracious giving printables. 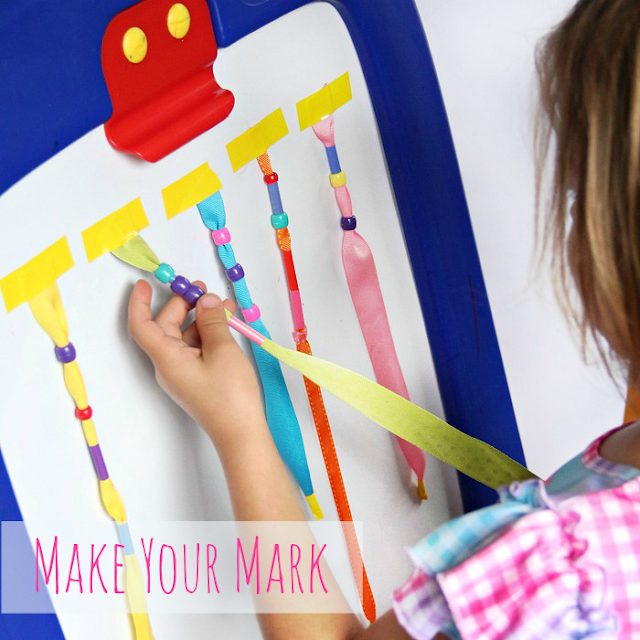 The Make Your Mark ebook, including six sets of printables, costs just $11.25 during its December launch month (regular price $14.99) and you can get your copy here.